One problem with the picky hi fi person — such as me — is that one gets so damnably familiar with one’s own equipment, and this in itself engenders a kind of dissatisfaction. 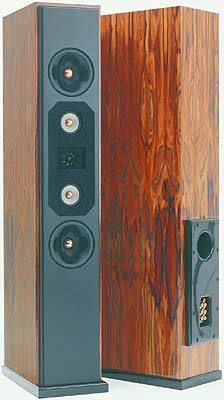 Take my VAF Research Signature I-93 loudspeakers, for example. I had found myself getting increasingly fussy over the last couple of months. I would hear little things in the music and think: Couldn’t that subtle detail be just a little clearer? Is so-and-so’s voice supposed to sound just like that? Why isn’t there a bit more depth in the sound stage on that CD? But unlike most picky hi fi people, I get to hear lots of other speakers, in familiar surroundings with familiar recordings. So, after having had the I-93s unplugged for a couple of weeks while reviewing lots of other speakers, last night I had all the others boxed up again and restored mine to their rightful place. Oh my gosh! Incredible tangible imaging. A sound stage that goes up and down, front to back, as well as side to side. Bass that goes down seemingly forever (revealing problems with rumble on some CDs!) Revelation of details that were lost behind a wall of opacity, or at best barely discernible, with every other speaker I reviewed. Okay, all the others cost considerably less than my speakers. Still, whenever you get bored or dissatisfied with your equipment, see if you can rustle up a replacement for a couple of weeks. Try swapping with a hi fi friend. Then go back to your own equipment and pretty soon you’ll hear how it really sounds. Incidentally, out of all the speakers I reviewed for Best Buys, the ones that came the closest were the new upgraded versions of the Aurora 3 floorstanding speakers, from Sydney firm Orpheus Audio (the new revised speakers aren’t up at the site yet).